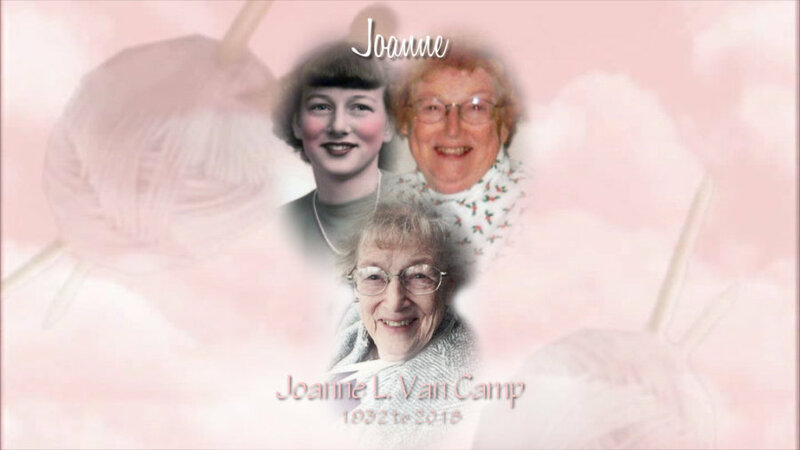 Joanne L. Van Camp, 86, of Sylvania, went to her Heavenly Home to be with her Lord and Savior, Friday, October 19, 2018, at the Ebeid Hospice Residence. She was born August 24, 1932, to Ray and Marie (Wood) Baker in Toledo. Joanne had great faith and love for the Lord, her church, family and friends. She worked at Toledo Trust, took time off to raise her four children, before returning to work. Upon retiring she spent much time at Happy Hollow Campground in the summer and Punta Gorda FL during the winter months with her husband. She loved singing in her church choir, knitting, cake decoration, candy making and numerous other crafts. She was preceded in death by her husband of 60 years, her parents, sisters, brother and grandson. Joanne is survived by her loving children, Diane (Dave) Webb, John (Cindy) Van Camp, Debra (Jeff) Sullivan, Don Van Camp, 10 grandchildren, 17 great grandchildren and nieces and nephews.